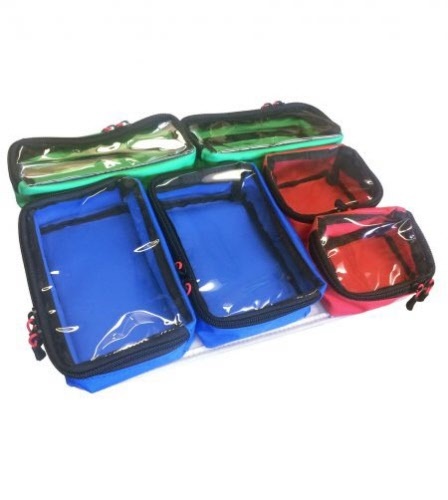 A basic collection of FLEX Array pouches - all just less than two inches tall - and a Base Plate. 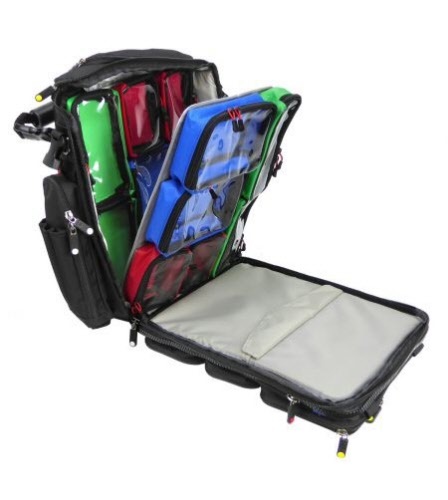 Now you can super-organize the INSIDE of your bag with the FLEX ARRAY. 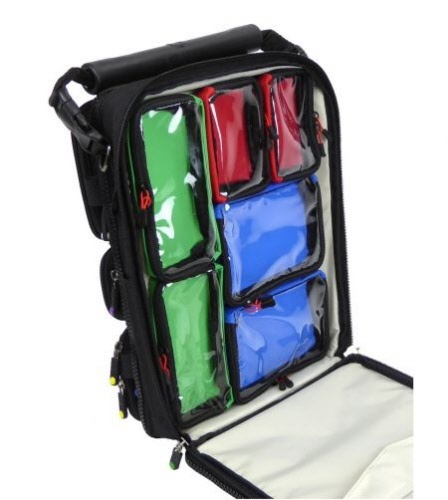 This removable panel has six ARRAY pouches of different sizes, all one-inch thick, to organize all your small stuff inside your bag. Array 4x3-Tall(qty 2) A small 4" x 3" x 2" red pouch with a transparent lid. Array 6x3-Tall(qty 2) A medium-sized 6" x 3" x 2" green pouch with a transparent lid. Array 6x4-Tall(qty 2) A slightly taller version of the large-sized blue pouch with a transparent lid. It is 6" x 4" x 1.75".